Blog Hoppin': STOP! 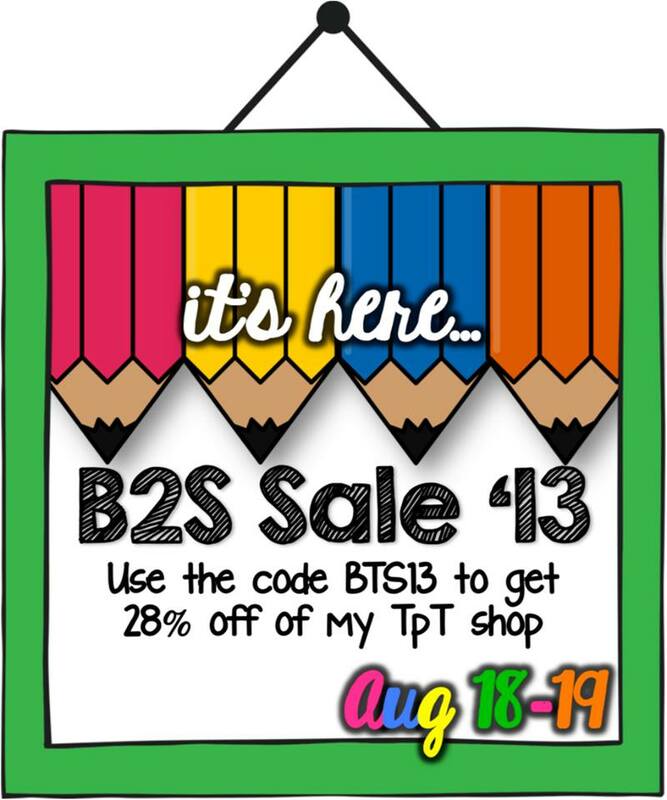 It's about that time...BTS Sale!! Good Afternoon Blog Hoppin' Buddies!! Thank you Amy Lemons for the ADORABLE button!! Did you hear the great news?? Teacher Pay Teachers is having a GINORMOUS Back to School sale this Sunday and Monday and all of us Blog Hoppin' Girls are joining in the fun!! 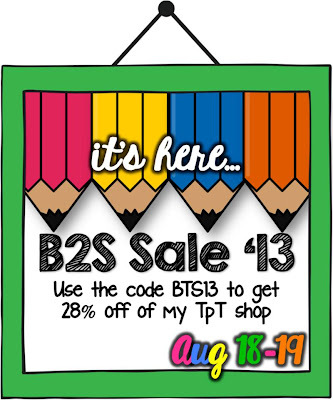 All of our stores will be 28% off (with TPT's discount code BTS13). You can visit all of our stores by clicking on the "Our Stores" button at the top of the page! Now, go and fill up those carts, friends!! We already have ours filled to overflowing! Thanks so much for hosting the week long link up. I posted everyday and enjoyed sharing my real world with the blogging world. This was an amazing thing.